"Otherwise, why come to Alibaba? We don't want people who comfortably work for eight hours," he said late last week. 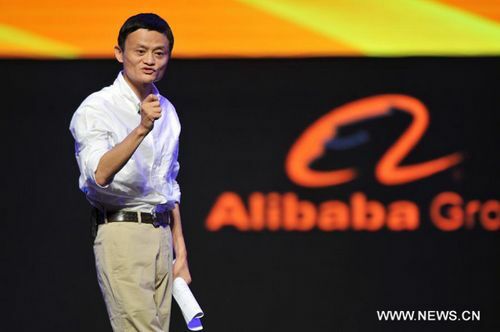 Alibaba wants its staff to live a good life and be happy at work, Ma said in his latest comments. Alibababa and JD.com are among leading firms accused in the online campaign of pushing 996.icu. China's Labor Law says employers can ask employees to work up to three hours' overtime a day, to a maximum of 36 hours a month. "During the time I started my business, I slept on the floor of my office for four years to save money," Liu said. "Every day, I put an alarm clock on the floor, setting the alarm for two hours, because I was the customer service chief and I wanted to guarantee a 24-hour service. "I never slept for more than two consecutive hours at that time. That's why JD can survive and be the giant it is now. We need people who can shoulder responsibilities to make JD better, and even the country stronger, to work with me." On his Weibo account he wrote: "I strongly object to 996 ... if you work 11 hours a day, you won't have time for a romantic relationship, family and a social life, which is ... also a valuable balance for work." Feng Lijuan, who works at 51job.com, a human resources firm, said that in the Internet business employers don't normally ask staff to work overtime. They just tell them a project has to be done before a deadline. A woman surnamed Shen, a 35-year-old chief developer with a Shanghai IT company, who seldom needs to work 996, told Shanghai Daily that at some companies, even though employees weren't required to work 996, "people in the industry often work for a project as a group, so if all the other people are working overtime how can you just go home? "And if you don't work as much as your colleagues and supervisors do, you might get the lowest KPI (key performance indicators) scores which could lead to loss of bonus and you will probably be fired eventually. "And bosses in cut-throat industries tend to give staff deadlines which can hardly be met without working overtime. If you choose not to work 996 to finish the task before the deadline, you will still end up with a low score in the assessment." "I choose to work like this not because the company asks me to do so, but because I can get job satisfaction from working here, taking into account all these factors: job, pay, working environment and relationships with co-workers," she said.